How To Preach A Sermon looks at the basic tenants of preparing a sermon you can preach to your congregation. 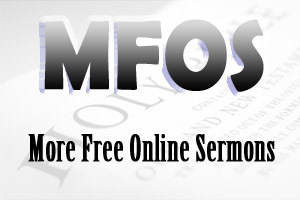 After 20 or so years of preaching sermons, what are the basic tenants of preaching a sermon? I can remember it would take forever to prepare a sermon in my student days. They were so clinical and uninspiring. Still, I was diligent in my sermon preparation because I wanted to preach sermons that encouraged the people of God. Yes, I learned how to prepare a sermon in seminary; however, it was not until I began to preach week in and week out that I developed a methodology to preaching sermons. When you preach two or sometimes three sermons a week, you learn very quickly to structure your preparation accordingly. One thing I do know about preaching is that you cannot ask for an extension on Sunday morning. It was now or never. I would structure my sermon preparation around the three parts of the sermon. I would put my sermon outline together, which was the body of the sermon. I would write content to the sermon outline and then I would write an introduction and a conclusion. A sermon outline has three parts - the main preaching point, sub-points and incidental points. For example, you may want to preach 2 Timothy 3:16-17 to your congregation. The main preaching point in these verses is The Power of God's Word. When I preached this sermon, I wanted my hearers to embrace the power of God's Word. Embracing the power of God's word became the main preaching point. Sub-points expand and explain the main preaching point. I felt there were three sub-points, God's word is inspired (3:16a), God's word is profitable(3:16b) and God's word is dependable (3:17). Putting all this together I used reasons as the hinge word (a plural noun) to work the three sub-points. The hinge word is a literary device that enables you to swing your sub-points from your main preaching point. It creates cohesion and sequence in preaching. Your congregation will know what you are talking about and what you are saying about what you are talking about (Now that's a mouth full!). You may want to expand on your sub-point. You do this by adding incidental points. Here is my full sermon outline for 2 Timothy 3:16-17. Once you have completed your sermon outline with main preaching point, sub-points and incidental points, the next step is to write content to your sermon outline and write an introduction and conclusion to your sermon outline. 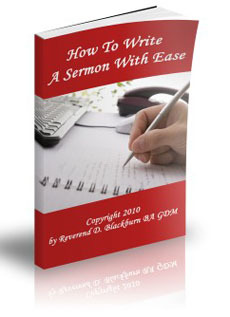 If you want to know more about the three parts of the sermon outline, you can download this free ebook that explains this process in more depth - How To Write A Sermon With Ease. Once you have work out your main preaching point, sub-points and incidental points, you will need to decided on which structure you will imploy in developing your sermon outline - deductive, inductive or a bit of both. A deductive sermon outline begins with the main preaching point followed by sub-points and incidental (see sermon outline above) - how to write a deductive sermon. An inductive sermon outline begins with the sub-points and incidental points moving towards the main preaching point - how to write an inductive sermon. A bit of both can be used in either an inductive or deductive sermon - homiletics. Once you grasp these basic tenants of sermon preparation, you will enjoy preaching sermons to your people. Here are some examples of preaching sermons from the book of Ephesians.